Houzz has released its annual Kitchen Trends Survey for 2017 and the results have us all very excited. This year is set to be the year of customized kitchen storage, stainless steel appliances and new countertops! 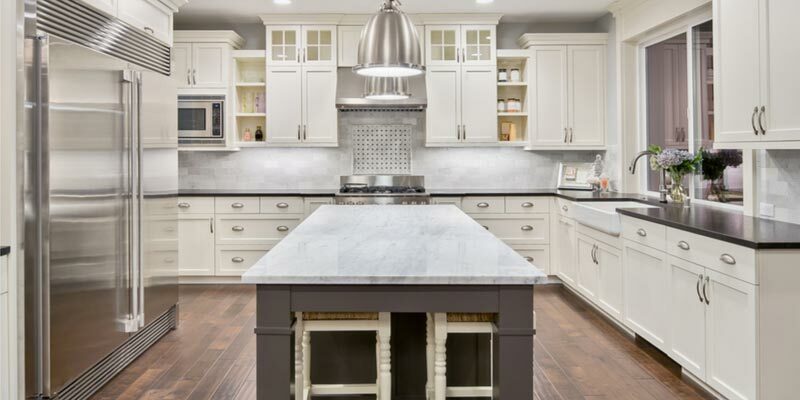 According to the survey results, people are most excited about adding farmhouse features, gray walls and multicolored countertops to their kitchens. 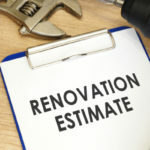 An interesting find from this year’s survey is remodeling your kitchen is good for your health. People report an increase in healthy lifestyle changes post-kitchen renovations. But why? A new kitchen inspires people to eat in more, as opposed to going out. Remodelers also report snacking on more fruits and veggies. 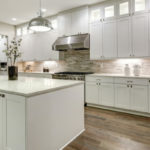 Countertops are important once again this year, with 95% of kitchen renovators reporting countertops as their number one priority to upgrade. Granite countertops remain a popular contender thanks to their long-term durability and timeless beauty. Lighter color granite is increasingly popular as it mimics the look of marble without the high cost, added sensitivities and maintenance. Interestingly multicolor countertops are showing a lot of popularity; think speckled granite as opposed to bright blue and green countertops. 33% of renovators plan to add speckled granite or quartz to their kitchen. You don’t have to live in Kansas or Texas to enjoy a farmhouse kitchen these days! Kitchens all across the country are going farm-style in 2017. This trend remains mostly popular amongst millennial homeowners. So if you’re feeling skeptical about a farmhouse kitchen, you’re not alone. Contemporary kitchen designs still remain the most popular across all age groups. Kitchen storage continues to get smarter and more efficient this year, which is exciting news for your kitchen. 64% of survey respondents plan to add pullout waste or recycling cabinets to their kitchens. 53% plan to add organizational tools for cookie sheets and trays, and 15% are incorporating wine and bar cabinets for better alcohol organization. 26% of kitchen renovators plan to paint their walls gray, which means neutrals are here to stay. White remains a popular color choice, with 42% of respondents opting for white kitchen cabinets. Stainless steel has remained a classic option for years and it is here to stay. 72% of people surveyed reported opting for the classic silver finish of stainless steel appliances. It’s a good choice, it looks great in countless kitchen styles and is proven to last a long time. Black stainless steel is creeping up on silver, with an increasing number of people shifting teams to the darker side. 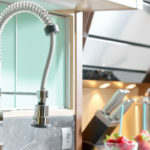 Hand washing dishes wastes a lot of time and so it’s not too surprising that the majority of renovators are adding a dishwasher to their kitchen. Dishwashers add considerable value to your home; people don’t want to purchase a home with a nice kitchen but no dishwasher. In proof, dishwashers are the number one item people upgrade during renovations. Other appliances on the rise are gas ranges and cooktops. While pizza ovens are only in the plan for 1% of renovators. A cheap and popular trend is to paint kitchen walls. 72% of respondents plan to add a fresh coat of paint to their kitchen. This is a great way to freshen up your space without breaking the bank. While tiny houses remain a popular trend, it isn’t stopping people from adding more space onto their kitchens. Creating an open floor plan is the most popular way people are gaining more space in the kitchen. 51% of respondents plan to open up their kitchen to other rooms in the house to give it a larger feel and make it less closed off. 20% plan to open up their kitchen to the outdoors—a perfect choice if you love to entertain or have a great backyard space. 36% plan to increase the size of their kitchen in different ways. 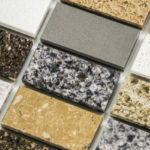 We offer top quality granite countertops and a wide variety of kitchen cabinets at wholesale prices you’re sure to love. We can help you save money on the two most important (and costly) elements of your remodel, leaving room in your budget to splurge elsewhere.